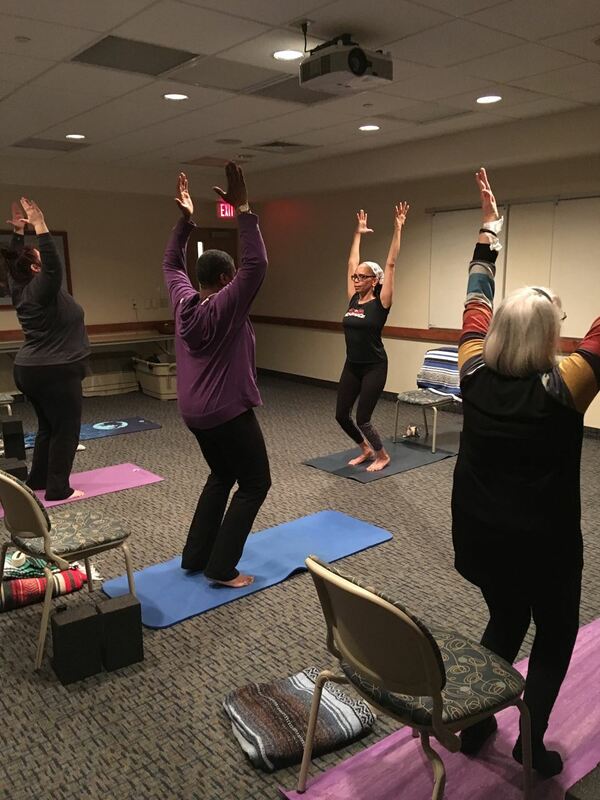 Saturday morning Therapeutic Yoga at The Happy Yogi is taught by Charlene Muhammad, who is a RYT500 and YFA Certified Instructor. Gentle Hatha yoga class designed to support rebuilding of strength and agility for students with chronic pain or who simply need to move mindfully. Students may practice on the floor or chair as needed. Lots of modifications offered!